How do I start the transplant process? 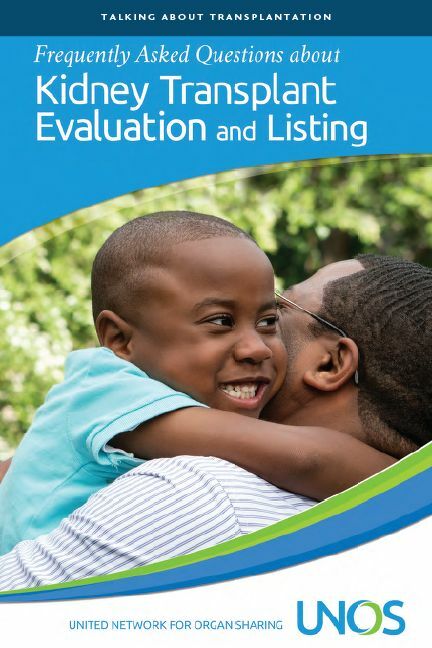 UNOS offers a booklet called ‘Frequently Asked Questions about Kidney Transplant Evaluation and Listing.’ This booklet has all of the steps and information about how to start the transplant evaluation process. Watch this video about the tranpslant evaluation process. Your transplant center will help you set up all of this and walk you through the process. This is just to give you an idea of what you might need. These tests are to see if you’re healthy enough for surgery and if your transplant is likely to work. You can get these tests at your primary doctor or at the transplant center. The transplant teams may have specific doctors they want to do your testing. This may mean that the center won’t use your primary doctor’s tests in their decision to accept you. The transplant center may not accept you if you smoke (including medical marijuana) or have a drug or alcohol problem. Smoking, drinking, and drugs can cause health problems during transplant. If you’re tested and results show you have nicotine or drugs in your system, the center is likely to turn you down or tell you to re-apply in about 6 months. You’ll need to stop smoking before you reapply. This can be hard to do. Talk to your doctor about resources to help you stop. Chewing nicotine gum and other nicotine methods to help you stop smoking show up in your test results as nicotine and can cause a problem. This means you’ll need to use other methods, such as therapy or medicines that don’t contain nicotine.